Personal virtue is no substitute for political hard-headedness. We went back on a very similar manifesto to things I believe in. The difference is that after eighteen months to two years he did the biggest U-turn on policy of all time and started to go the wrong way. In the end, that cost us the next election. Home is where you come to when you have nothing better to do. Just rejoice at the news and congratulate our armed forces and the Marines. Rejoice! 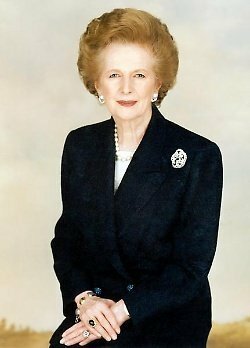 Bio: Margaret Hilda Thatcher, Baroness Thatcher was a British stateswoman and politician who was the Prime Minister of the United Kingdom from 1979 to 1990 and the Leader of the Conservative Party from 1975 to 1990.